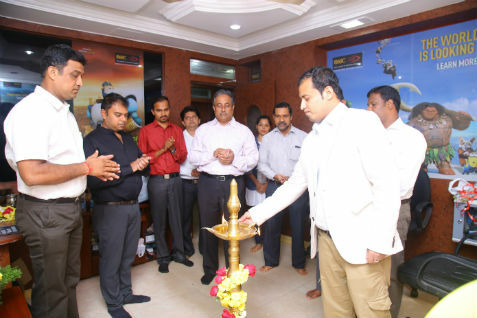 Mangalore: Maya Academy of Advanced Cinematics (MAAC), India’s premier educator in high-end 3D animation and visual effects, announces the launch of its 1st centre at Mangalore, Karnataka. This is the 10th centre in Karnataka and will be the latest addition to the MAAC in India. Bangalore is already the hub for animation and VFX in India. Some of the top global companies like DreamWorks Animation, Technicolor, MPC and also some of the very successful Indian studios like Xentrix Studios, Dhruva Interactive and Moonfrog labs operate out of here. In order to cater to the growing need of animators in various segments, the centre will offer advanced cinematic courses in animation, visual effects and multimedia. Some of the flagship courses such as – AD3D EDGE, ADMD, VFX Plus, Max Pro and Maya Pro will be available at the centre. According to a report by KPMG, the animation and VFX industry registered a 16.4% growth in 2016 largely on the back of 31% growth in the VFX sector. Key factors of growth have been increasing use of VFX in domestic film production and a growing emphasis on growing animation in content by broadcasters. These factors are also expected to grown the animation and VFX sector going forward at a 17.2% rate.